In a move that struck fear in the hearts of under-educated web editors everywhere, Google announced today that it will remove the old version of Google Analytics tomorrow. After releasing a new version focused on real time analytics in September, Google has kept a link to the old version, which it has supported, at the bottom of the Analytics page for the past year. What can you expect from Google Analytics if you haven’t transitioned yet? Never fear, straggler. We’ve got you covered with a link and media bonanza. The major change is the transition to real time analytics, a vast increase in the amount and usefulness of information that a user can derive, provided they know what they’re doing. This makes a strong analytics employee even more valuable–companies that know what they’re doing with the new system will have a competitive advantage over those who don’t (duh). The removal of the old version makes an under-informed, bad analytics employee a liability. Exactly what it sounds like: this will show you what’s happening on your site in real time. Pictured above, you can see the normal analytics (users, where traffic is coming from, etc.) in increments down to the second. The video below explains it pretty well; essentially, it shows you the variety of channels used to find your site, rather than just the last step. 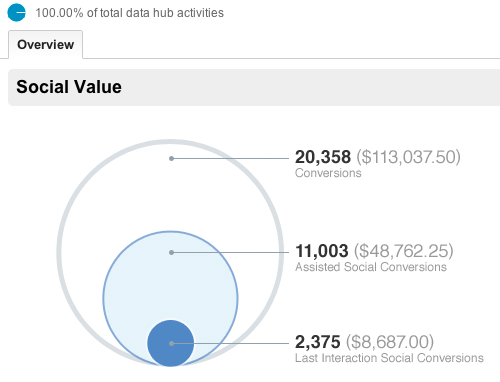 These will allow users to identify the value of social-driven traffic and see how they lead to direct conversions, assisted conversions and last interaction conversions. Google released Mobile App Analytics last month. They provide data on downloads, new users, retention, conversions, app sales and more. This lets you tinker around with your site by showing different versions to different visitors. So there you have it. You’re finally prepared for the system you could have been using for months. Way to go, straggler. Correction: The previous title for this article, “Google Puts Nail In The Coffin For Static Analytics, Real Time Now The Only Option” was misleading, as static analytics are not going away. I meant to convey Google’s emphasis on real time analytics but obviously failed to properly phrase it. Apologies for the error.